May 9, 2014 /in Toenail Fungus Treatments /by Jenn F.
Back in November, we wrote about Anacor’s new drug, Tavaborale. In an industry where treatments are marginally effective at best, Anacor promised slightly-better-than-mediocre results. If Penlac cured 0.5% of patients, then Tavaborale would cure 6% of patients. The problem with topical toenail fungus treatments is that they are unable to make it past the nail barrier to penetrate deep into the nail matrix. We have to wonder, though: are these treatments really good enough? Is it worth developing something that works on less than a tenth of the population? David Sobek, a market analyst over at The Street, says no. Though Anacor’s stock is rising, analysts say Tavaborale is a bust. April 25, 2014 /in Toenail Fungus Treatments /by Jenn F.
Laser toenail fungus removal is a rapidly growing area of onychomycosis treatment. Currently, if you have thick, yellow toenails, there aren’t a whole lot of ideal options out there. You could try an over-the-counter lacquer or a home remedy for toenail fungus…but these methods are often efforts in futility that only work for a very small fraction of the population. Furthermore, you have to apply these treatments each day for six to 12 months to see any effect at all. Or you could see your doctor and get a prescription for oral terbinafine…but there are risks to the liver, so you will have to attend appointments for frequent monitoring over the course of three months. With few other options, it’s much more desirable to come in for one or two laser treatments (which boast impressive cure rates) and be done with the icky fungus once and for all. There are many different lasers from which to choose. We’ll examine a few things about each type of laser treatment, but they all work in much the same way and lack any negative side effects. If you decide to give a foot laser a shot, be sure to invest in the SteriShoe ultraviolet shoe sanitizer to kill residual fungus in your footwear and avoid a recurrence. Laser toenail fungus removal is a rapidly growing market for quick, easy foot fungus relief. April 15, 2014 /0 Comments/in Toenail Fungus Treatments /by Jenn F.
If you’ve developed yellow toenails over the long winter, it could be more than just a cosmetic issue. Often, yellow nails are a sign of foot fungus! Other symptoms of toenail fungus include: thickening of the nail, crumbled edges, and sometimes pain. When left untreated, toenail fungus could lead to complications like cellulitis — particularly if you are a diabetic or have a compromised immune system. Unfortunately, toenail fungus is not an easy problem to treat. Adam Ullman, the founder of the SteriShoe UV shoe sanitizer, has suffered with this problem and sheds some light on the different treatment options he’s explored. Have you let your feet go this winter? It may be time to tackle toenail fungus. Natural Healing: Can Neem Oil Be Used to Treat Pesky Foot Fungus? March 27, 2014 /0 Comments/in Toenail Fungus Treatments /by Jenn F.
Foot fungus can be a terrible problem for a person who is dedicated to holistic healing and natural remedies. The usual course of treatment for toenail fungus involves heavy duty oral antifungal medication which can be considerably expensive. Athlete’s foot is a bit easier to treat with an over-the-counter topical, but it still tends to resist natural cures and can become a persistent problem. Neem oil is one of the products we’ve seen pitched to treat foot fungus, so this post serves to look into the matter further. 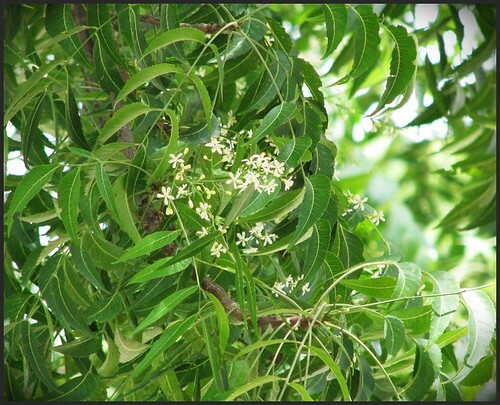 The Neem tree comes from India, and is a relative of the Mahogany tree. March 21, 2014 /0 Comments/in Toenail Fungus Treatments /by Jenn F.
It’s safe to say, most Americans would rather not see a doctor. About one in three men and one in five women have no regular doctor, according to a survey conducted by the Commonwealth Fund research foundation in New York City. For some people, it’s fear of bad news or shame about their lifestyle choices. For others, it’s about drumming up the money for co-pays and treatment options, or an overwhelming feeling of hopelessness. Toenail fungus sufferers especially fall into that last category, because there are so few treatment options that are any good. However, there are a few tricks you can try to eliminate toenail fungus without a visit to the doctor. Some people avoid doctors due to lack of money for co-pays and treatments. February 18, 2014 /0 Comments/in Toenail Fungus /by Jenn F.
There are many products on the market that promise to help you eliminate toenail fungus. Unfortunately, many of these items are not effective in their treatment. Yet, there is a smaller subset of elite products that are recommended by podiatrists for toenail fungus removal. We’re proud to say that we’ve put in the time and effort to conduct extensive testing on our ultraviolet shoe sanitizer in order to earn the American Podiatric Medical Association’s seal of approval. South Florida Podiatrist Dr. Eric Weinstein of Broward Foot Care is one of our product advocates who proposes a three-step process to cure toenail fungus fast. January 31, 2014 /0 Comments/in Toenail Fungus Treatments /by Jenn F.
Buyers beware when it comes to toenail treatments for onychomycosis (otherwise known as toenail fungus). Over the years, there have been many misleading statements made by advertisers of toenail fungus treatments promising “miracle cures,” all the while peddling snake oil. We recently penned an article on how the FDA is cracking down on illegal claims made by diabetic foot care products. Yet, we’re finding the same is true of toenail fungus foot care products as well. Fungi-Nail received a stern warning from the FDA for making misleading statements regarding the effectiveness of their product. A Nail Expert Weighs In: Why is Toenail Fungus So Challenging to Treat? January 28, 2014 /0 Comments/in Toenail Fungus /by Jenn F.
Dr. Dana Stern is a board-certified dermatologist who runs a Manhattan practice and teaches at the Mount Sinai Medical Center. In her professional opinion, toenail fungus is one of the most challenging nail conditions to treat for a multitude of reasons. Yet, it is important to pursue treatment because the infection can spread to other parts of the body and also infect other people. “Over time, fungal infection can cause the nails to become thickened, brittle, discolored, and even painful,” she explains. Here we’ll look at Dr. Stern’s expert opinion on why fungal infections are so difficult to cure. Dr. Dana Stern dishes about toenail fungus and the importance of seeking treatment, even though it is challenging (and expensive) to cure. Can Nail Removal Cure Toenail Fungus Once And For All? January 17, 2014 /0 Comments/in Toenail Fungus Treatments /by Jenn F.
“Surgery is the ONLY cure for fungal toes,” reports the UK’s Daily Mail. According to Dr. Martin Schurr, one of the leading general practitioners in England, the results of toenail fungus treatment “can be discouraging.” Topical creams and lotions do not penetrate to the root sufficiently and, therefore, do not really work. Antifungal drugs cause side effects like stomach upsets and liver damage. Some of these prescriptions need to be taken for weeks, months, or even up to a year. Worst of all, even these drugs “are not terribly effective,” Shurr says. “A better plan is to have the nail removed in a minor operation,” he reports. In the long run, it may even be cheaper! Hibiscus Tea: Not Just for Drinking — For Foot Fungus, Too! January 10, 2014 /0 Comments/in Toenail Fungus Treatments /by Jenn F.
Prevention Magazine says, “Move over, Green Tea.” There is a new contender for King of Teas in court: Hibiscus Tea! What started off as a People’s Pharmacy report about seeing blood pressure drop from 132/80 to 102/70 by drinking hibiscus tea has been recently validated by science. Iranian researchers reported that study participants who drank hibiscus tea after every meal for a month saw a 44% drop in blood pressure. Boston researchers found a seven point blood pressure drop among hibiscus tea drinkers, which they said was enough to lower the risk of heart attack and stroke among most patients. While antifungal research is still scant, many hibiscus lovers say the tea has helped clear up their foot fungus as well. Hibiscus tea is not just pretty to look at: it’s pretty beneficial for one’s health, too!